E-assessment is an essential part of e-learning, with both becoming ubiquitous in business education. But where to start? In ILT’s July Seminar, I discussed the educational transitions that are driving the need for new approaches to assessment for e-learning and business competency teaching. 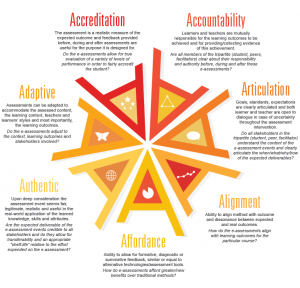 I introduced a proposed framework consisting of seven principles of effective e-assessment. These principles are outlined in a paper authored by Joanna Scott-Kennel, Roy Larke and myself titled “Principles of Effective e-Assessment: A Proposed Framework.” This article was accepted for publishing in the Journal of International Business Education. Simultaneous educational transitions including the rapid expansion in blended andragogy, advances in technology and digital teaching aids, and the increased availability and uptake of online distance learning are driving a need for new approaches. Our study aligned previous research relating to traditional tertiary-level assessment with e-learning and blended learning teaching strategies and practices. 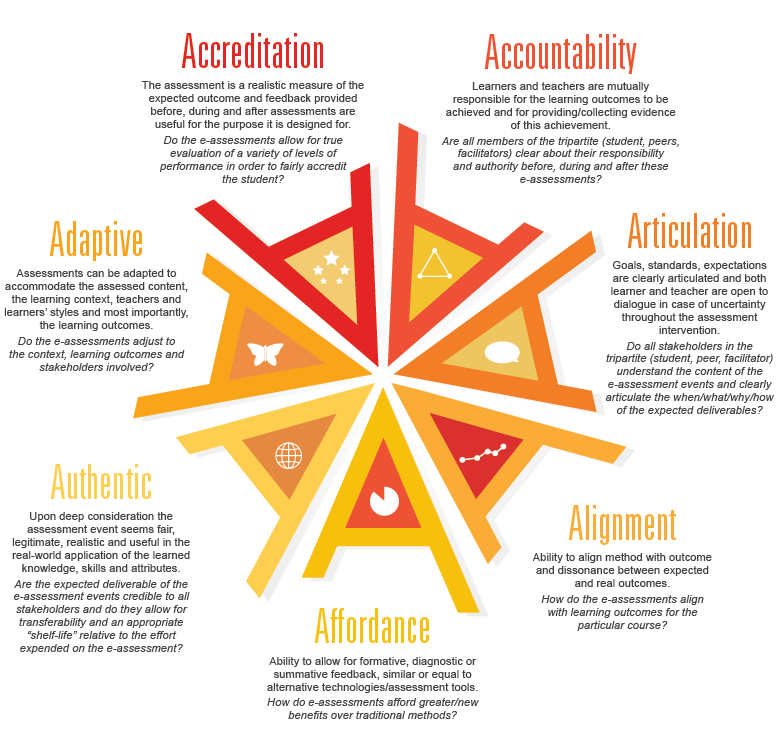 The result is a proposed framework consisting of seven principles: Accreditation, Accountability, Articulation, Alignment, Affordance, Authentic and Adaptive. We suggest that these are fundamental when considering assessment design for e-learning. Dr Rouxelle de Villiers has been working in the tertiary sector for over 12 years and is currently a Senior Lecturer at AUT where she teaches marketing, consumer behaviour, sales management, and creativity and innovation. She also teaches coaching and mentorship, and decision and thinking competencies to MBA students. Rouxelle is a business mentor for New Zealand Trade and Enterprise through the Auckland Chamber of Commerce and has over 20 years experience in management and consultancy. She started her own consultancy company (The Marketing Workshop) in 2002 while in South Africa, and has continued her consultancy work in New Zealand alongside her teaching. She is the winner of a number of teaching excellence awards at three universities she has taught at. Very useful and helpful info.